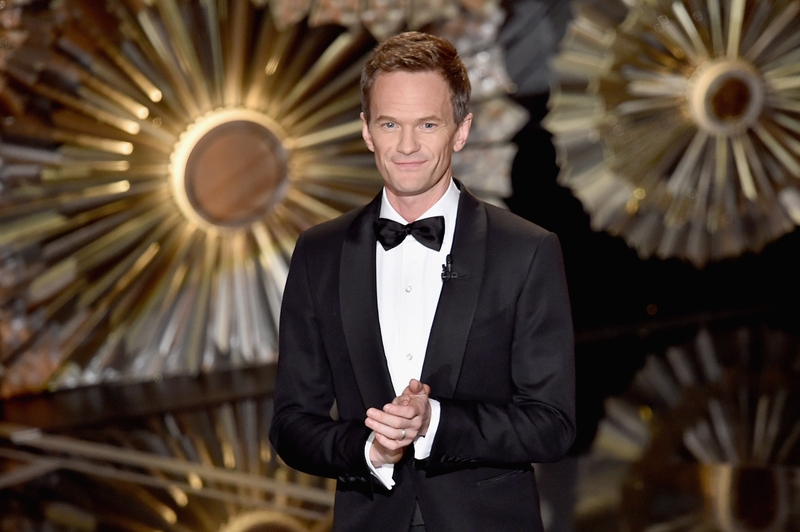 And the award for the most ballsy host goes to... Neil Patrick Harris. Though the Oscars host opened the 87th Academy Awards with a very expected (but no less entertaining) song-and-dance number, the also took a jab at this year's high-criticized and controversial group of nominees before the music even began. Yes, a white host, presiding over a very white Oscars, Neil Patrick Harris joked about the Oscars' lack of diversity with his very first line of the show: "Tonight we honor Hollywood's best and whitest — sorry, brightest." Will it be the last time this year's Oscars reference its errors this year? Likely not — after all, the three-hour ceremony comes complete with plenty of jokes, and plenty of outspoken celebrities. But not that anyone could complain about chatter — conversation about the Oscars' problem with diversity is the only way we could possibly see more inclusion in the future. Because, it's 2015, people. We really should be doing better than this. So let's keep talking.